Over the next several months, AAF Lincoln has several events planned and we hope you’ll join us. We are constantly striving to find ways to bring interesting and exclusive opportunities to you, our members, and hope you are as excited about the upcoming events as we are. Ad Camp is one of my favorite events as it brings together the future of advertising with current professionals in an educational day where I think everyone walks away learning something new. Our annual Ad Camp is quickly approaching, and you are interested in volunteering, being a speaker or sponsoring the event, please reach out to Jill Bertsch at jbertsch@aaflincoln.org. We’re also excited to welcome Bill McKendry, Co-Founder and Chief Creative Officer of DOMOREGOOD, for a half-day workshop that will teach you how to use branding principles to move your nonprofit from "doing good" to doing MORE good. Every attendee will leave with individualized insight and guidance through McKendry's FREE workbook. Special thanks to Firespring for sponsoring the event. In addition, we launched a brand new AAFLincoln.org site where you can find more detailed information and register to attend these events. Our club is only as strong as our members and volunteers so please make sure to keep providing us feedback on our luncheons and events so we can continue to offer programming that you find beneficial. Enjoy the rest of your fall! AAF Silver Medal Award Nominations due December 1, 2013! AAF Lincoln is currently taking nominations for the 2014 Silver Medal Award, which will be awarded at the 2014 Nebraska ADDYs in Omaha on February 8th. The award is given in recognition of an individual's outstanding contributions to the advertising profession. 1. CONTRIBUTIONS TO HIS/HER COMPANY. The nominee must have achieved success in one of the following areas of work: advertising agency, advertiser, media or advertising service company. 2. CREATIVE ABILITY. The nominee should have shown a high degree of creative, original thinking in whatever phase of advertising he/she works. 3. CONTRIBUTIONS TO THE ADVERTISING INDUSTRY. The nominee should have worked to increase the stature and raise the standards of the advertising profession. 4. CONTRIBUTIONS TO THE COMMUNITY. The nominee should have been active in civic, religious or other community groups dedicated to some phase of human or social welfare. 5. MEMBER OF THE AMERICAN ADVERTISING FEDERATION - LINCOLN. Please include a one or two-page outline of the candidate's qualifications in the five areas listed above by the deadline. Volunteer Partners is the 2013-14 AAF-Lincoln Public Service Recipient! Proceeds from several AAF-Lincoln fundraising events this year will benefit this organization and help them do what they do – lead Lincoln agencies and volunteers in carrying out valuable missions in our community! Visit www.volunteerpartners.org for more information on this great organization! 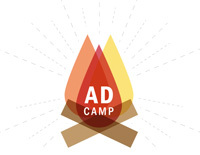 AAF-Lincoln’s annual Ad Camp is fast approaching! This event is designed to help develop the next generation of professional talent with a day-long line-up of presentations, panels, networking opportunities and agency visits. AAF Lincoln’s Ad Camp welcomes college students from across the state and offers something for students interested in any area of marketing or advertising. This year’s event will be held Tuesday, November 12, 2013 at Zen’s Lounge. For more information or to sign up, visit AdCamp.org. Alejandro Munoz de la Cruz will be speaking on marketing trends among women and Latinos. In order to survive in today’s marketing world, marketers in many industries can no longer just cast a large net over the coveted 18-49 demo and expect to see results. There are more and more types of media vehicles that allow marketers to really zero in on their intended target market and be more efficient. Our speaker, Alejandro Munoz, will explore trends and media usage among two unique demographics, Latinos and Women, and what marketers are using to effectively reach them. Alejandro Munoz primary responsibility is managing market research projects for Meredith Agrimedia. Most recently he has been charged with developing a database that will integrate all Meredith Agrimedia media and enterprise properties. Alejandro began his career with Meredith as a market research coordinator intern over 3 years ago. A year later, he became a full-time employee. Alejandro holds a Masters in Business Administration with entrepreneurship concentration degree from Drake University. He is bilingual (English and Spanish) and proficient in French. The November, December and January luncheons will be held at the Embassy Suites, 1040, P Street, Lincoln, NE. 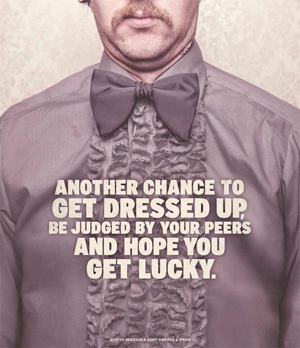 Get Ready to Take Your Ads to Prom – 2014 ADDYs Entries DUE! The 2013-2014 Nebraska ADDY® Awards Call for Entries should now be in your mailbox. To start entering your work, visit http://www.NebraskaADDYs.org/ and click the “Submit Entry” button. ADDY entries will be accepted online through November 22, 2013. Corresponding physical entries will be accepted at the drop-off locations on November 8, November 15, and November 22, 2013, between noon and 4:30 p.m. Pieces that advance will be entered into The American Advertising Awards (the regional and national ADDY Awards). Our Nebraska 2013-14 ADDY award show will take place on Saturday, February 8, 2014 at the Hilton in downtown Omaha. Today, the concept of branding isn't just for marketing professionals; rather, it is a discipline that needs to be understood at almost every level within a nonprofit organization. On Thursday, December 19th, spend a few hours learning not only what it means to be a brand-driven organization and how to be more effective in your marketing efforts, but also how your nonprofit can use these 14 branding principles to move from "doing good" to doing MORE good. Co-hosted by AAF Lincoln and the Lincoln AMA, this half-day workshop will be led by Bill McKendry, Co-Founder and Chief Creative officer of DOMOREGOOD -- a nationally recognized and award-winning strategic and creative brand-building firm providing services to organizations that are committed to making a positive impact on the world around them. Bill is also currently authoring a book, DO MORE GOOD®, on how nonprofits can successfully grow their fundraising and friend raising efforts with the aid of more effective marketing and branding. Insightful and relevant information will be presented and worked through, plus, a FREE workbook will be provided to every attendee. + Help nonprofit organizations see branding/marketing as an "investment" and not an "expense"
Who should attend: Nonprofit CEO's, Executive Directors, Board Members, Development Directors, Fundraising Professionals, NPO Marketing & PR Staff as well as agencies and branding professionals, design or media consultants working with nonprofits. Join us Thursday, December 19th from 8 am until 11 am at Firespring, 1201 Infinity Ct., Lincoln, NE 68512. AAF and AMA members receive FREE admission. There is a $49 fee for non-members. Visit aaflincoln.org to sign up! AAF Executive Vice President of Government Affairs Clark Rector reported recently that the House Ways and Means Committee “is seriously considering a tax on advertising as part of the tax reform bill” that Chairman Dave Camp, D-Mich, hopes to release later this month or early October. No details were available as to what form any such tax may take, but past proposals have included limiting businesses to deducting only 80 percent or less of their advertising costs, or requiring businesses to amortize a portion of advertising costs, thus postponing the deduction over several years until long after the advertising has appeared. Additional possibilities could include different treatments of “brand” versus “product” advertising. Some legislators have also suggested limiting the deduction for the advertising of disfavored products, such as tobacco or so-called unhealthy foods. AAF encourages members to contact their representatives who serve on the committee, which for Nebraska is Adrian Smith. Comments to Smith may be directed to any of his three offices: Grand Island (308.384.3900), Scottsbluff (308.633.6333) or Washington, DC (202.225.6435). Want to get involved with AAF-Lincoln? Join a committee! Email jritzman@aaflincoln.org today!